Set Your Mini Cooper Up for Vtec Performance! 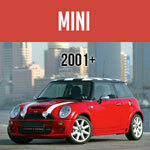 CLICK HERE for ALL the special Vtec parts and products Mini Mania has for you! Actually it is VVTEC which stands for (Variable Valve Timing and Lift Electronic Control). What it is though, is a system developed by Honda Motors to improve the volumetric efficiency of a four-stroke internal combustion engine. In other words, improve the economy of the car’s engine. However, there are other benefits to a Vtec that Austin Mini owners love even more than fuel efficiency and that’s POWER. Honda’s Vtec engines seem to be made for Classic Minis. It’s more powerful than the venerable A-series Classic Mini Engine. It’s more reliable than a rebuilt Classic Mini Engine. And yes, it’s more powerful. In fact, Car & Driver Magazine states: "The VTEC engine for a Mini Cooper is one of the fastest, and, um, furious-est, drives south of a Z06. Just look at the numbers from the one we tested-1792 pounds and a claimed 220 horsepower. The Honda engine was originally for the Acura Integra Type R and was rated for 195 horsepower." This video, "Watch my Classic Vtec Mini Beat a Camero SS" was edited so that you can get right to the part where the driver pulls up to the line. Worth watching. 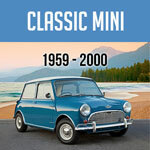 First, start with this article, "Installing a VTEC in a Classic Mini". It will thoroughly walk you through the steps you’ll need to take.